By matching a writer with a geography researcher Mark Bicton’s residency with Royal Holloway University of London sought to develop a prototype model for a participatory creative writing workshop designed to engage local communities with environmental concerns. The project saw the arts as a valuable tool for enabling communities to be involved in imagining and planning at the local level, designing their own environmental futures. 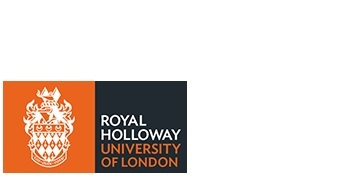 Activities conducted by the residency included participation in several events hosted by Royal Holloway Geography department’s Landscape Surgery sessions and involvement with an interdisciplinary symposium, Text in Place / Place in Text, in May 2015. Collaborating with Dr Harriet Hawkins Bicton discussed ideas for potential participatory creative writing workshops and drafted a number of proposals based on Dr Hawkins advice. Bicton participated with Dr Hawkins in running one session of the Landscape Surgery which led to the development and execution of a creative writing workshop with PhD students. Bicton also produced several short texts and writings for the Landscape Surgery’s blog. The residency has provided useful insights into how research and freelance writers may work together, and highlighted the importance of working beyond face-to-face by employing online means of communication and creation. For Dr Hawkins the residency added creative writing methods for public engagement and creation to her existing skillset.